NIck Munier’s Avenue restaurant in Temple Bar suddenly shut last month. A LIQUIDATOR HAS been appointed to a company owned by well-known restaurateur Nick Munier, who was the star of RTÉ’s Masterchef. According to a filing in the Companies Registration Office, liquidator Padraic Bermingham of Bermingham and Company was appointed to Munier Ltd last week. Munier Ltd is the holding company behind Avenue, a restaurant based in Dublin’s Temple Bar which suddenly closed its doors in April. A meeting of creditors was held at the end of May, at which it was decided to appoint Bermingham as a liquidator. 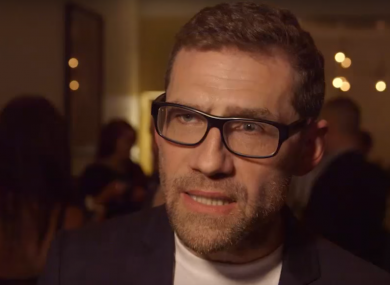 Nick Munier is well-known for his role as the maitre’d on the UK reality cooking show Hell’s Kitchen and for co-hosting the Irish version of Masterchef on RTÉ with Dylan McGrath. In 2009 Munier set up his own restaurant called Pichet in Dublin. He sold his stake in his Pichet in 2014 and then set up another restaurant, Avenue by Nick Munier in Dublin’s Temple Bar, which started trading early in 2015. When it announced its closure in April, Avenue posted a statement on its website thanking everyone who had supported the business, but did not detail why it had shut. Accounts for Munier Ltd show accumulated losses of about €250,000 for the period between its establishment in October 2014 to the end of last September. More recent accounts for the company have not been filed yet. Wilsons Auctions held an auction at the end of May to sell off the contents of Munier’s restaurant, with the aim of raising enough money to reimburse the company’s creditors. The items that were up for sale included several paintings by Nick Munier and a hand-crafted dining table as well as ovens, freezers and dishes. Munier Ltd owed its creditors over €400,000 as of the end of September 2015. Some 26 people were employed by restaurant during its 2015 financial year. The directors, which included Munier, did not take a salary and loaned almost €200,000 to the business, of which €81,000 was repaid at the end of the period. Email “Liquidator appointed to a company owned by the star of RTÉ Masterchef”. Feedback on “Liquidator appointed to a company owned by the star of RTÉ Masterchef”.